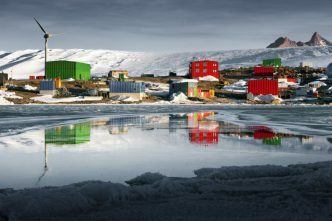 Perhaps to catch the attention of policymakers, Australian strategists have mostly worried about whether China might challenge the sovereignty of the Australian Antarctic Territory (AAT). That’s despite the AAT having a very odd, limited sovereignty, which is recognised by only a handful of other claimants. Australia can’t apply its laws to other nationalities in the AAT or deny access to other states for legitimate scientific activities. China may think its research stations and greater logistical access in the AAT would help its position in law if the issue of mining ever comes up again, but Beijing has reiterated its support for the Madrid Protocol, which sets a very high bar for mining even after 2048, when the issue could be brought up again. Practical considerations also push any prospect of mining on the continent into the far future. Antarctica is also sometimes seen as having special value for military space capabilities, given that many satellites cross over it. The accuracy of China’s Beidou and Russia’s GLONASS GPS-like systems, which have few ground stations in the southern hemisphere, would improve with the use of ground stations in Antarctica. But Beidou’s accuracy has already been improved by international testing, including from a GPS- and Beidou-capable international ground station in Perth. As Beidou installs more ground stations around the world—in Pakistan, Thailand and likely Brazil—the station in the AAT is likely to make very little difference. More broadly, Beidou is a legitimate dual-use system under the Antarctic Treaty, just like Norway’s Trollsat (part of the EU’s Galileo). Beidou’s military applications have removed the risk that China ran in relying on GPS in the event of hostilities in the South China Sea. However, that shift occurred when Beidou achieved regional coverage in 2012, before the ground station in the AAT was constructed in 2014. And if major hostilities broke out between the US and China, GPS and Beidou would be attacked in space and cyberspace long before anyone worried about ground stations in Antarctica. Concerns over Beidou aside, China’s apparently non-strategic, prosaic interests in Antarctica, which could harm Australia’s security, are reason enough to fund our Antarctic presence, science and diplomacy. President Xi Jinping’s idea of China as a maritime great power encompasses commercial opportunities; the Chinese Communist Party’s legitimacy depends, in part, on growing the economy. 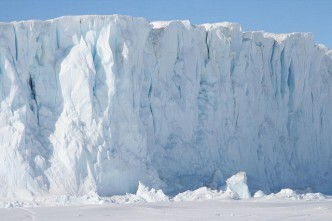 So near-term economic opportunities in Antarctica—such as fisheries, tourism, exploitation of the genetic and chemical properties of Antarctic flora and fauna (bioprospecting), and contracts for equipment and stations—appear to be given the same forethought and state backing as more conventional strategic objectives. 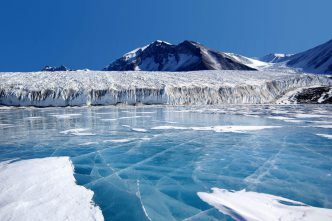 China is therefore willing to strain the operation of the Antarctic Treaty system to defend what it dubs the ‘utilisation’ of Antarctica. In the Commission for the Conservation of Antarctic Marine Living Resources, China has pressed for reduced environmental safeguards. China’s less precautionary approach could end up harming Australia’s valuable toothfish resources around Heard and McDonald Islands, as well as international fisheries. And we’ve already seen (pages 8–16) China hit back in the commission against Australia after mild and legitimate criticism, in line with broader Chinese sensitivity over its treatment in international forums. In that case, China was supported by South Africa, perhaps presaging an emerging economies bloc in the treaty system. And Antarctica is a place where Beijing could easily cause us diplomatic difficulties if our relationship is strained for other reasons. Any country that, for example, made spurious environmental objections could significantly delay our proposed year-round runway. Growing Chinese-owned tourism in Antarctica could increase our search and rescue obligations in the Southern Ocean, or eventually in the AAT, where we currently have no policy on tourism. We’d also have to devote more resources to the surveillance of Chinese vessels if hostilities increased elsewhere in Asia. But the potentially most worrying intersection of Antarctic utilisation and Australia’s security is the constant reference to the development of a Chinese networked polar observation system. In its 13th five-year plan (Part IX), Beijing listed ‘the development of real-time online monitoring systems and overseas observation (monitoring) stations for the marine environment’ as one of its major aims, not just for the Antarctic but for the ocean as a whole. It would build on ‘a service platform for the provision and application of information regarding the polar environments and potential polar resources’. Remote sensing is a legitimate scientific activity in Antarctica as it’s safer and easier than taking measurements directly. But we wouldn’t want to one day find that no vessel could move in the Southern Ocean without Beijing knowing about it. 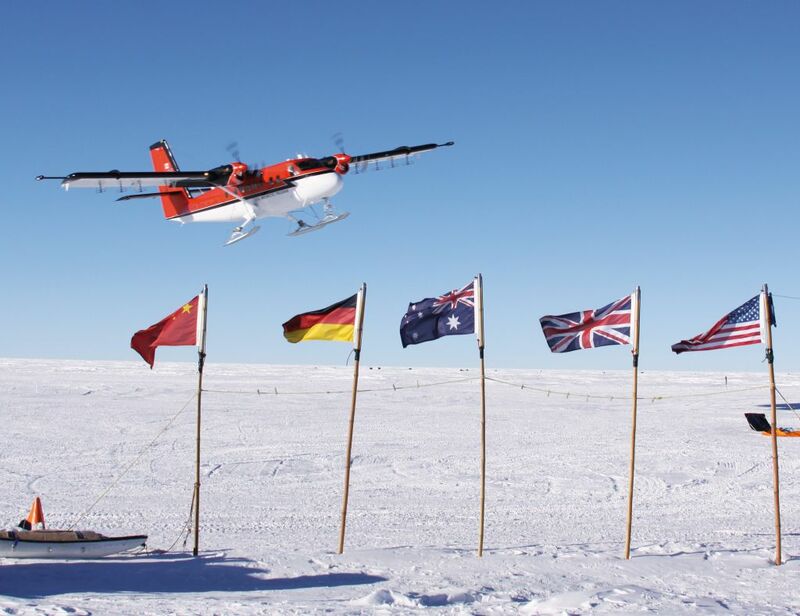 So Australian policymakers need to advise Antarctic scientists on whether the remote observation systems they’re using in collaboration with the Chinese are sharing technology we’d rather keep to ourselves. Australia should also be more involved in developing practices under the treaty system on the use of drones and other observation equipment, and insist on openness about what systems are deployed and networked. 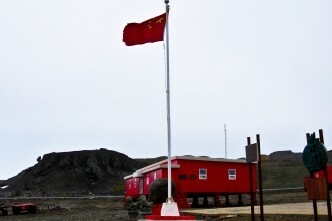 Under its current leadership, China is unlikely to be swayed from its aims in Antarctica. But we can seek to moderate or delay unsustainable levels of ‘utilisation’ or the establishment of surveillance systems that could hamper other countries’ access. Most importantly, we should put in the diplomatic and scientific effort to support the treaty system, especially its inspection provisions. Accusations that China and others are contravening the treaty for grand strategic purposes may be good for attracting attention. But they’re hard to prove and make it harder to negotiate on Antarctic practices that could quietly undermine Australia’s security day by day. Claire Young is a strategic and transnational analyst of more than 20 years’ experience. 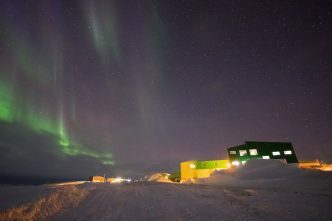 Image courtesy of the Australian Antarctic Division.